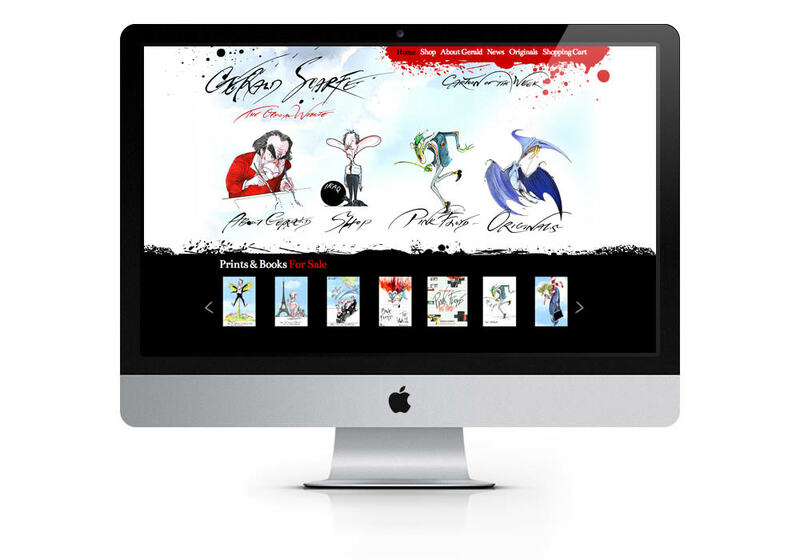 New website for well-respected satirical cartoonist Gerald Scarfe. Gerald Scarfe, renowned internationally as a top illustrator and political cartoonist, showcases his work through prints and books available to buy on his website, and offers the rare opportunity to buy a one-off original! 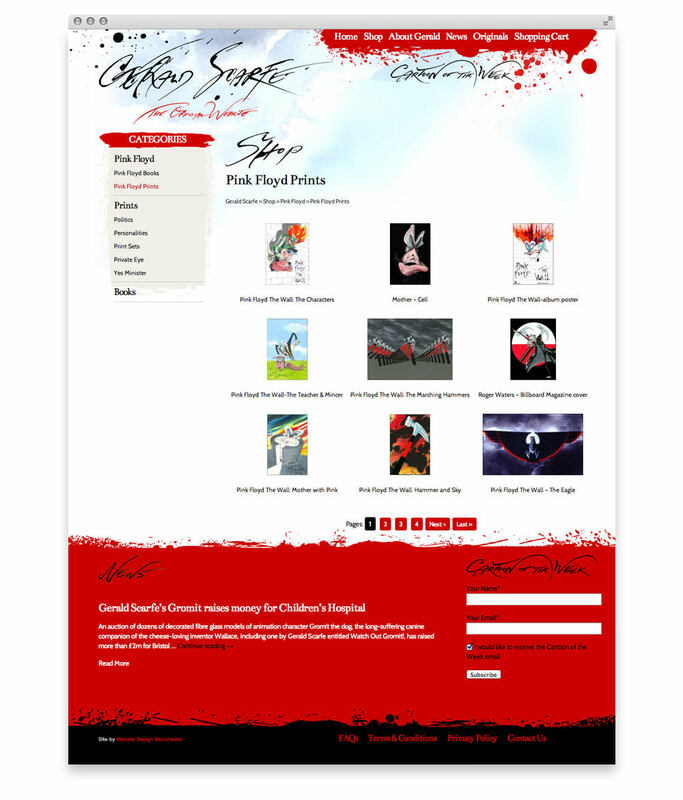 A beautifully minimalist website, Gerald Scarfe’s own artwork leads the customer through a user-friendly, shopping experience.